Rebecca Tran is an experienced Trial and Divorce Attorney who has been practicing law in Santa Clara County for more than 21 years. She is a California State Bar Board of Legal Specialization Certified Family Law Specialist. Rebecca provides representation and consultation in contested divorces in addition to serving as a mediator for clients who wish to jointly negotiate settlement. She specializes in resolving complex property division issues, including valuation and characterization of closely held companies and professional practices, and in resolving issues related to child and spousal support. Regardless of the size of the community estate, Rebecca works with clients to evaluate the cost-benefit of available courses of action. She has represented clients who are, or who are married to, directors and vice presidents of Fortune 500 companies, partners and shareholders in various types of professional practices, and consultants and executive officers of private companies. She has handled cases involving community estates of all sizes, including those valued in excess of $30 million dollars. She practices only in Santa Clara County, where she is familiar with the attorneys and judges. She serves as Judge Pro Tem in Superior Court at mandatory settlement conferences and on the default judgment calendar. As a San Jose divorce attorney, she provides both representation in contested cases and divorce mediation services. As a mediator, she works with both parties to resolve the case without court. Mediation is a more private and generally less expensive approach to divorce. It allows parties to resolve the divorce, or certain issues relating to the marriage, in a non-adversarial setting. The parties meet in the firm's San Jose office, rather than appearing in court. When hired as a mediator, Rebecca educates both parties about the law and explains the legal procedures which must be followed for a divorce to occur in California. Rebecca also prepares those forms necessary to begin the divorce process, helps them craft a settlement agreement, and prepares the judgment for entry. When hired to fully represent a client, she works to resolve matters without court intervention. However, if a dispute cannot be resolved, Rebecca provides strong and effective representation in court. Rebecca served for two years on the Santa Clara County Bar Association Judiciary Committee, which evaluates judicial candidates at the request of the California governor. Before opening her own family law practice in 2007 as a San Jose divorce lawyer, she spent six years at the firm McManis Faulkner where she handled business and corporate cases, and took on several high-profile civil cases that went to trial with successful verdicts. At McManis she was also lead associate attorney on a number of high-asset divorce cases. Rebecca has handled numerous appeals and has argued several times before the Sixth District Court of Appeal. She is a member of the Vietnamese American Bar Association of Northern California and a volunteer for Maitri. She served for two years on the Board of Managers of the YMCA of Santa Clara Valley, Central Branch and the Santa Clara County Women Lawyers Committee. In 1998, before becoming a lawyer she was a reporter for the Gilroy Dispatch. She is a graduate of Smith College and the University of California, Davis, School of Law. Ann Wise is a family law attorney who graduated from Santa Clara University School of Law in 1996. She graduated from UCSD with a Bachelor of Arts degree in Political Science. Ann is a member of the State Bar of California and the Santa Clara County Bar Association, where she was a member of the Family Law Executive Committee, past co-chair of the Family Law section's education committee and served on the San Jose Regional Standing Committee, the body assessing and commenting on pending family law legislation for the State's Family Law Executive Committee. Before making the transition to family law and becoming a San Jose divorce attorney in 2005, Ann practiced in a variety of areas of law, including two years at Hopkins & Carley in their corporate/mergers and acquisition department, and several years working her way up to general counsel for a medical products company. 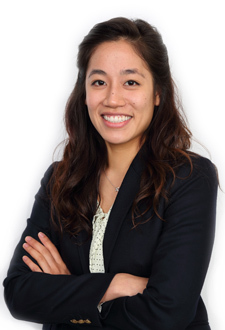 Miri Yeh is a family law attorney and Bay Area native. She received her B.A. in Communication Studies and Global Studies from UCLA in 2008 and her J.D. from UCLA School of Law in 2011. During law school, she focused on environmental and intellectual property law and interned with major city governments in both policy and legal positions. She consulted with a start-up ridesharing company before transitioning to family law. Miri has been a San Jose divorce lawyer practicing exclusively family law since joining Tran & Wise. She is a member of the Family Law Sections of the State Bar of California and the Santa Clara County Bar Association. As a San Jose divorce attorney, she works directly with the courts as a volunteer with the Pro Bono Project’s Family Court Settlement Project. As a licensed real estate agent with the California Department of Real Estate, Miri applies her knowledge of real estate law and the home buying and selling process to family law cases involving real property.